When Jay Mike Johnson moved to the Dominican Republic after graduating from Samford University in May 2018, he had no idea what the Lord would do in his heart that summer. 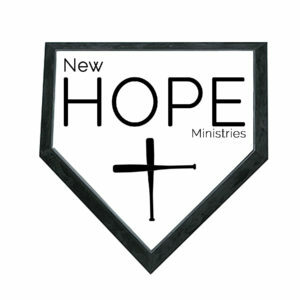 The idea for New Hope Ministries had not yet been born, but he knew God was stirring up something big. As he began to post videos and pictures of local baseball players that he was coaching, he started to receive many responses from high school and college baseball coaches based in the United States asking what the possibilities of these players coming to play for their school might be. However, naïve to the poor education system of the local public schools, they then discovered that even though these boys would excel on the baseball diamond, they would struggle in the classroom. Most (if not all) all of these young baseball players attend schools with sixty kids in each classroom, do not attend school if it rains, are sometimes not required to do homework, and are taught in a way that is only conducive to one type of learning style. They grow up in an environment where the importance of education is not stressed, where college and getting a degree are not even an option, and their only viable options are either signing with a MLB team or going back to where they grew up with no hope for the future. Upon learning these things, the idea for New Hope Ministries was born. 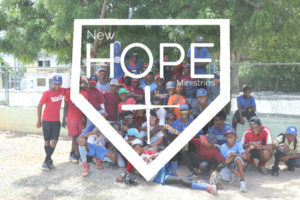 New Hope Ministries aims to give Dominican baseball players the means to quality education and English classes. We hope that by providing these things, doors to attend high school/college in the United States will be opened. There is a father issue in the Dominican Republic. Of the boys currently in the program only one knows their biological father and only 2 have a father figure living in their household. The end goal of this program is for the players to become faithful, hardworking men of God, so that when they go back to their communities after their playing days are over, they are able to testify of how God has worked in their lives and serve as examples of cycle-breaking young men to then inspire the next generation. 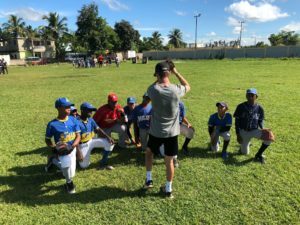 The players are selected from the baseball and discipleship ministry that is operated by SCORE missionaries Robersy and Sara Lara, who also contribute heavily to the daily operations of the program. The boys are selected and held to high standards during the school year based upon 4 categories: testimony, current grades in school, baseball ability and work ethic. 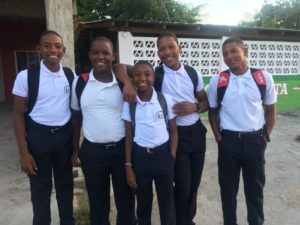 Upon acceptance into the program, the boys receive access to an accredited private school education (Mi Hogar Feliz in San Pedro de Marcoris), English classes taught by American missionaries who are ESL certified, and one meal a day (served by one of church members). The day-to-day operations of the program in the Dominican Republic are run by Dr. Patricia G. Balaguer. Patricia is a medical doctor at SCORE Interantional’s medical clinic and has extensive knowledge of the DR’s medical, educational, and government systems. Just over $3,000 US dollars covers the enrollment fees, tuition fees, uniforms, books, transportation fees, lunch during the school week, English classes, and English books for one student. This is just a fifth of what a program like this would cost in the United States! Please specify how you would like your gift to be used. Prayer Warriors – These boys are undergoing the most difficult transition of their lives, as their new schedules are strenuous physically, mentally, and spiritually. We ask that you pray for their health in all three areas and that they would continue to seek after God in all that they do! Financial Donations – Even though the cost is low compared to US standards it is still a sizeable amount. We are looking for gifts ranging anywhere from one-time donations to monthly sponsors. High Schools and Universities in the United States – We are actively looking to partner with high schools and universities to make the United States education portion of the program a reality. If you or someone you might know would be interested in housing a student to complete high school or college in the United States, please feel free to reach out through the comment section below!